I hope it was a C-section! 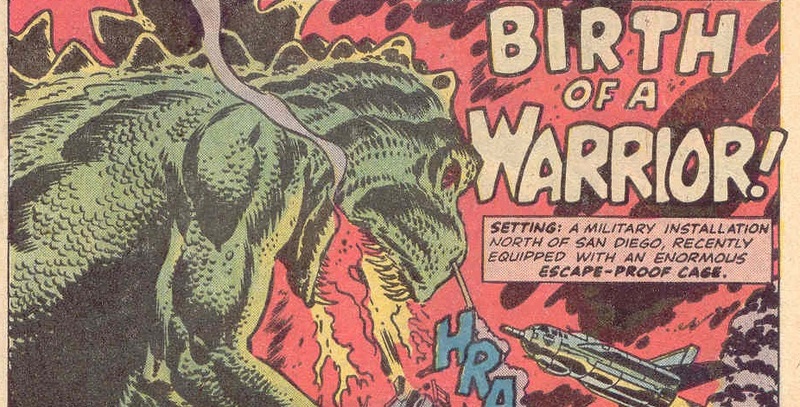 Yes, more Godzilla and more Marvel! Be make sure you know what the frak is going on with the Godzilla Marvel Splash Page, and keep up with all the March of Godzilla 2013 madness! 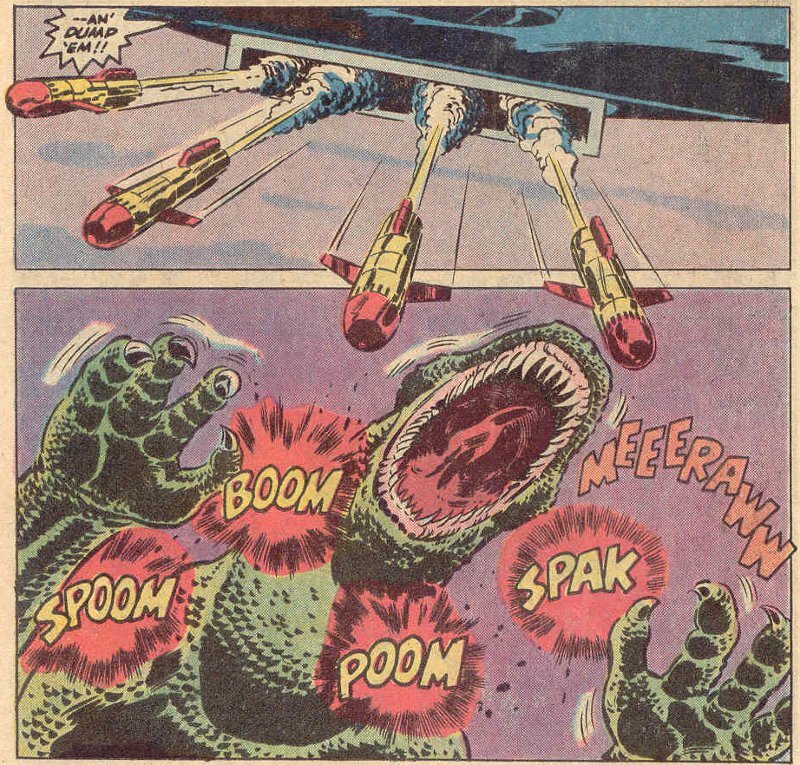 Godzilla is rampaging on the military base he was brought to and easily escaped the specialized prison from in the last issue. 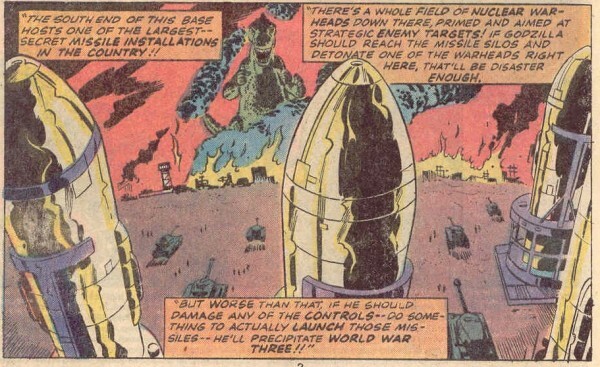 The military base that just happens to have a whole lot of nuclear missiles on it! Why did they build a giant monster cage here??? Or even bring a giant monster???? These gooberheads! Red Ronin, however, is randomly wandering free. He was activated by the unconscious brain of Robert, but has had no real commands. Jimmy Woo climbs inside and stops Red Ronin just in time to be told they need to go take Red Ronin to stop Godzilla. 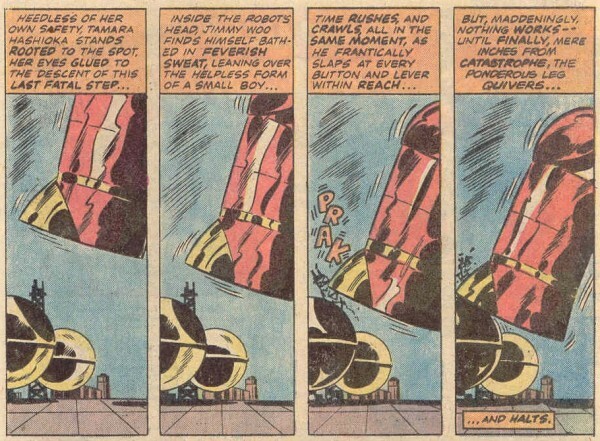 Jimmy decides to pilot the robot there, but Red Ronin won’t respond! It turns out that Rob’s random mashing of buttons caused an overload that made it so Red Ronin will now only respond to Rob’s brain commands! 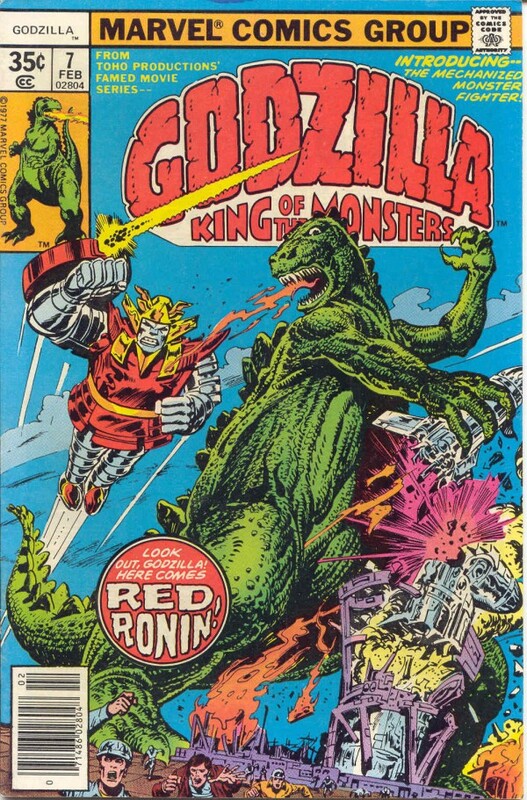 Rob wakes up and steals the Red Ronin again to go save Godzilla. Robert is one of those kids who should be locked in a cage in the middle of the ocean, because he’s just going to wander out and do bad things. 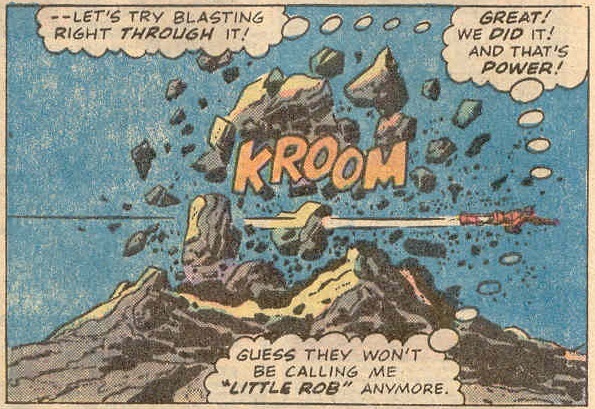 Robert also names Red Ronin at this moment. Be cause he has a bit of red on him and sort of is like a ronin, maybe. Red Ronin arrives…just in time for the battle to begin next issue! D’oh! One thing the Godzilla comic excels in in having issues that just build up to a fight in the next issue. Fillers, if you will. Well, next issue there WILL be fighting. Or else! 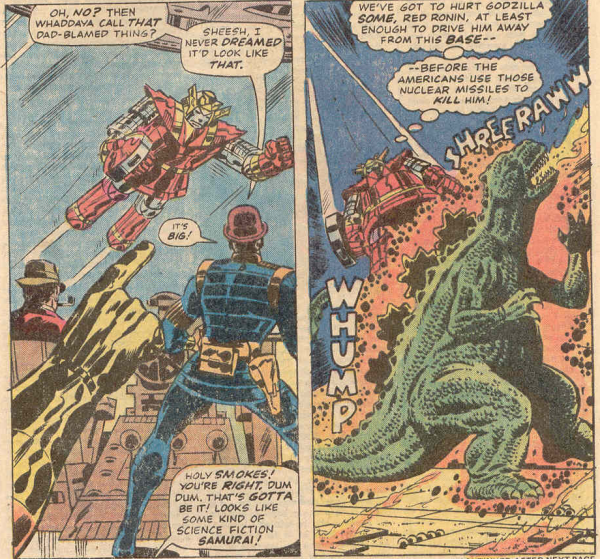 Godzilla is angry over robot pilot arguments! That mountain was the only habitat of the endangered Tufted Mountain Shrew. RIP Tufted Mountain Shrew.